Today saw the launch of the draft National Curriculum. 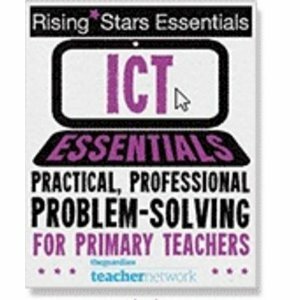 ICT is gone and in its place, Computing. To read through the document, click here. Now, my thoughts on the changes can wait a few days until another blog post, but I REALLY need your help with something. I am on a panel at the Westminster Forum reviewing the new curriculum and giving my thoughts. The full line-up is available here but includes some amazing people such as Miles Berry and the Director of Education for Microsoft and the person who co-founded CodeClub and someone who does Computing and Software Development and me. I’m the only primary school teacher on this panel. I don’t want that to sound big-headed, I’m not sure why they chose me and not Chris Leach or Kevin McLaughlin or the 100s of other amazing people on Twitter either….but I need to present for 5 minutes on my views of the new curriculum. That’s where you come in. My plan is to share your thoughts and fears and feelings about it too. Maybe I can be your voice on the panel. Maybe you love the thought of teaching algorithms to 6 year-olds. So if you have any thoughts, please share them below. Will it change anything? Who knows. Will it make a difference? I doubt it. But it’s a chance, right? visit - visit Ian Addison's Blog » Blog Archive » Computing in KS1/2 - Have Your Say! Explaindio Tutorials - Explaindio Tutorials Ian Addison's Blog » Blog Archive » Computing in KS1/2 - Have Your Say!